The concept of an Interactive Voice Response System may sound foreign to you, but you have probably experienced it hundreds of times without even realizing. Remember the last time you called your mobile operator to pay a bill or ask for something, and an automatic voice guided you through the process? Does the phrase “Press 1 for Sales, 2 for Support…” sound familiar to you? Today, we are going to talk about the technology behind it. What is an Interactive Voice Response System? The Interactive Voice Response System, shortly called IVR, is a technology that allows a computer to interact with humans using voice and Dual-tone Multi-frequency signaling (DTMF). This technology enables the identification and routing of users to the most adequate agent within the company, increasing efficiency and reducing costs as a result from customer segmentation. 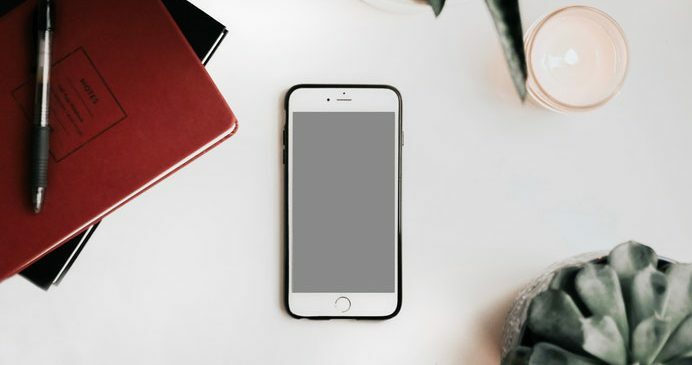 In other words, the IVR is the automated technology behind the pre-recorded instructions, questions, and suggestions that you hear so often on the phone before talking to a real agent. In more sophisticated systems, companies are able to gather input and real-time responses through spoken words using voice recognition. This means that sometimes, you can complete less complicated cases (such as paying a bill), without ever having to talk with an actual customer service representative. The Interactive Voice Response System allows users to interact with the company’s host infrastructure, usually via a telephone keypad or using speech recognition. IVR systems usually consist of telephone equipment, software apps, support infrastructure, and databases. When the customer calls the company, the IVR application responds with pre-recorded messages, and guides the customer through the different steps of the process. To speak with a Customer Support Representative, press 1. To consult invoice questions, press 2. To place a purchase order, press 3. For all other inquiries, press 4. This could be an example of a conversation with your mobile operator. Of course, each company will design a different system for interacting with customers, which usually becomes more complex as the volume of inquiries grows. This automates the process of resolving common issues, allowing customer service representatives to focus their time and efforts on more complex problems. What are the most common uses of Interactive Voice Response systems? Routing – IVR systems are an extremely efficient way to route clients to the most adequate department or agent depending on the issue that the customer encounters (among other factors). Automated Customer support – by providing the necessary tools and information to help customers solve their own problems, companies can successfully provide automated customer support and reduce costs. Caller Line Identification – many IVR systems can obtain CTI data from the network (such as account number, personal information and biometrics) as a way to identify the caller and redirect the inquiry to the most appropriate customer service representative. Banking industry – a lot of companies in the banking sector rely on IVR to extend their business hours and provide a 24/7 service where customers can check their balances, transaction history, payment operations, etc. Pharmaceutical industry – businesses in the medical and pharmaceutical industries often use an Interactive Voice Response System to conduct clinical trials, manage large volumes of data, and even record a patient’s diary. Live TV – another common use for this technology is in live TV shows such as X Factor or Big Brother, where interactions with the audience can cause huge spikes in call volume. The IVR technology provides numerous benefits to companies of all sizes, from enhanced customer service to a significant reduction of costs. Additionally, you can pair it up with a call recording solution like Recordia to ensure that not a single important conversation between your agents and customers has been lost. Call recording helps you gather and analyze data, identify behaviors and trends, and extract data-driven insights to improve both your IVR-automated and live customer service.